Handmade Cards 003 : A gallery of handmade cards received from my friends far and near. 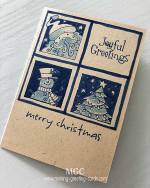 It is always a pleasure to go to the mailbox and see envelopes with handwritten addresses and know that inside each of these envelopes are handmade cards created specially for me by my friends. 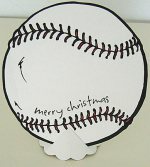 To view a bigger image of the same card, just place your curser on the card image and click and a new window will open. This is a card created by Jan Merkley from the United States. Jan sent me this computer printed card. 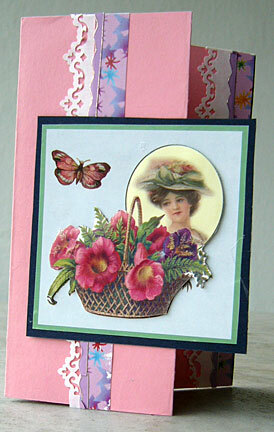 She used clip arts specially created for card making and scrapbooking by artists. 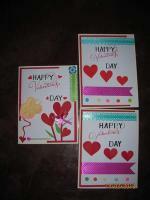 Jan printed them on card stock and then cut out and layered on the main printed card. I love the colours. 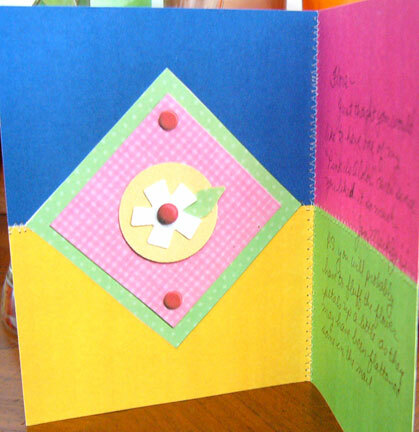 Thank you, Jan for sending me this beautiful handmade card. And this is the inside of Jan's card. 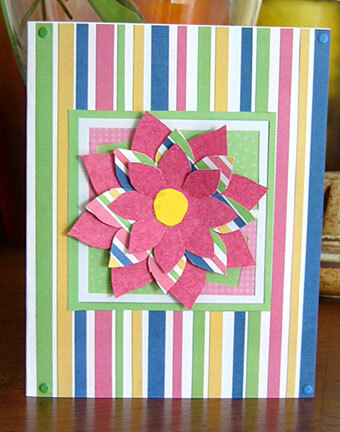 The flower square is cut out and layered on top of the computer printed card. A collage card by Coralie from the United Kingdom. Coralie used a border punch to make the lace border. She cut and pasted glossy paper images on the main card stock. 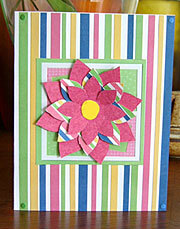 Notice the front of the card was folded back and the layered square card pasted on top of it. 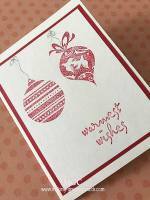 Coralie also hand-stamped a message inside the card: friendship warms the heart. Thank you, Coralie. I'm honoured to received this homemade card. 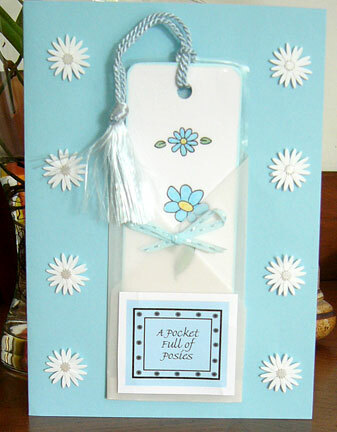 A Pocket Full of Posies - This is one of the Weekly Card Challenges that was organised in the group. Bev Thompson chose to send me her creation. Bev created a bookmark and laminated it. She used vellum to fold into a pocket and attached the rectangle printed frame on the bottom of the pocket. Above it, she pasted a baby blue ribbon. 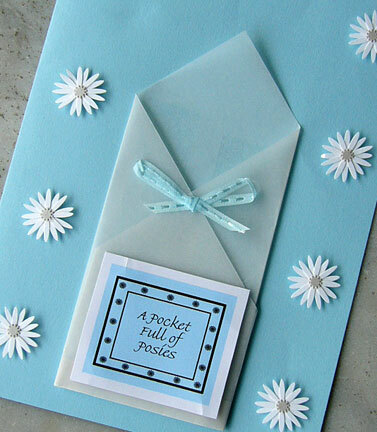 And along the sides, she pasted white paper daisies. Bev, I will always treasure this card. 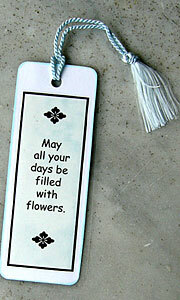 The bookmark is now placed inside my daily devotional book. Thank you. 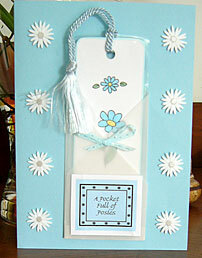 Note the front and back views of the bookmark created by Bev Thompson from the United States. And the various view of the pocket card without the bookmark so that you can have a better view of the vellum pocket. A handmade card from Linda Dunnihoo from the United States. 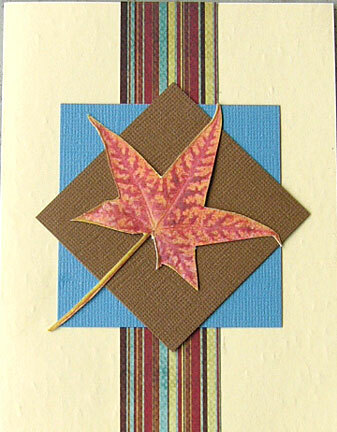 I was privileged to be Linda's partner in the group's In Light of Autumn Card Swap hosted by Meda Halmaciu. hank you, Linda. I hope to swap with you more in the near future.